For those who have purchased or are interested in the RRS XC-iP5* iPhone 5 case, we have a mounting solution to suit your needs. All of the B2-XJ options are currently available to order. 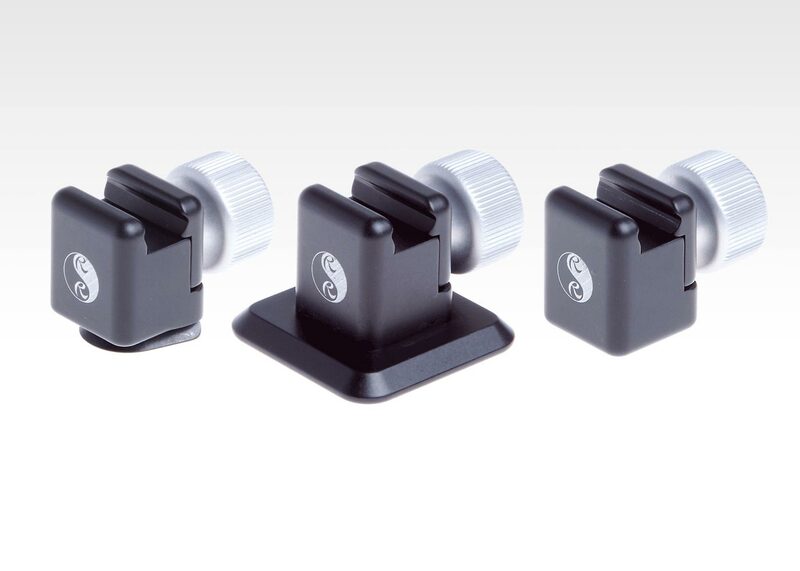 Simply choose the proper mount that will work with your current camera support set-up. The quick and easy way to mount your mobile device on a Really Right Stuff ballhead. Just snap the B2-XJ1 clamp with dovetail base into an RRS clamp and attach your mobile device with its Really Right Stuff case. The X-Jaw Clamp accepts mobile device cases made by Really Right Stuff and the dovetail base allows direct mounting to any RRS clamp. For those without an RRS tripod (or compatible Arca Swiss style clamp), we have the B2-XJ2 which easily mounts to tripods or other accessories with a 3/8″-16 stud. Just spin the B2-XJ2 clamp with flat base and threaded 3/8″-16 hole onto the tripod and attach your mobile device with its Really Right Stuff case. X-Jaw Clamp accepts mobile device cases made by Really Right Stuff. 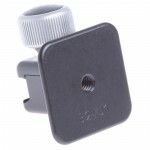 Flat base with tapped 3/8″-16 socket allows direct mounting on most tripods. Quickly and easily mount your mobile device on any of your SNAP QR™ mounts. 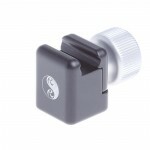 Just connect the B2-XJ3 clamp to your RRS SNAP QR™ mount and attach your mobile device with its Really Right Stuff case. 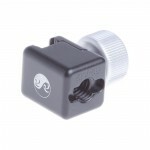 The B2-XJ3 base also has a tapped 1/4″-20 socket. X-Jaw Clamp accepts mobile device cases made by Really Right Stuff. 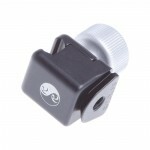 SNAP QR adapter base allows direct mounting in any SNAP QR™ mount. *Some XC-iP5 models are still under production and are pre-order only. Please check our inventory to see available models. I bought a jaw clamp with dovetail base and an iPhone 5 case. The clamb is what you would expect from RRS: beautifully machined piece of equipment. Feels solid and the mechanism is very smooth. The XC-iP5 was solely designed for the iPhone 5 – the spacers are crucial to the design of the case to provide better reception. We really tried to make a very slick case that wasn’t hindered in either function and aesthetic, which is why we are also making two different colored polymers for certain color combinations. If we do make an iPhone 4 case, it will have the same polymers added with a reduced size frame – again for reception issues. Believe us, we tried a gamut of frames and options, but in the end weren’t willing to sacrifice performance of the phone itself for aesthetic gain. Calls get dropped enough by providers — we don’t need to add to that problem. Today I received my iPhone 5 case in red, and immediately installed it. I think it’s a work of art and simplicity. One thing I’d like to see is a way to attach the case to a slender neck strap and have it hang upside down from the bottom, which would place it so when held in one’s hand to answer a call or type a text, it would be right side up. The smallest RRS clamps are really too bulky for that use, though they could be adapted to an eye bolt. Something to think about, fellas. I absolutely love my XC-iP5. I think it is a work of art, one that showcases and compliments the already beautiful industrial design of the iPhone 5. It’s my favorite case ever. Well done! I also love the B2-XJ2 clamp – it’s elegantly crafted and works really well with the pocket tripod legs. A couple of quick suggestions – I love the previous poster’s idea of having a neck strap, or better yet a wrist strap that would clamp onto the case. I would use this in numerous situations like shooting out of a car window, off of a boat, on a cliff, etc. where I don’t want to drop the phone. Seems like a no-brainer upsell. Second, I would love to see a mini-plate that would work with the B2-XJ series of clamps. For compact cameras like the RX100, it should be possible to have a small rail like plate that would work in the clamps. 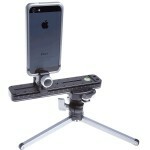 This would be great, because I would prefer to use the same B2-XJ clamp with the pocket tripod for both my iPhone and P & S camera. I’d rather not have to switch heads to use both. And frankly, the quality fo the RX100 is so much better than the iPhone, I really should be shooting with that if I happen to have it with me.